Aesculus pavia, Red Buckeye flowers in May. Native mostly to the southeastern United States,(but not to the Mid-Atlantic region, this understory tree is found in woods and along streams. Its common name refers to shiny seeds called buckeyes, which are encased in husked seed capsules. Its showy flowers, suggestive of firecrackers, have led to its alternative name, Firecracker Plant. 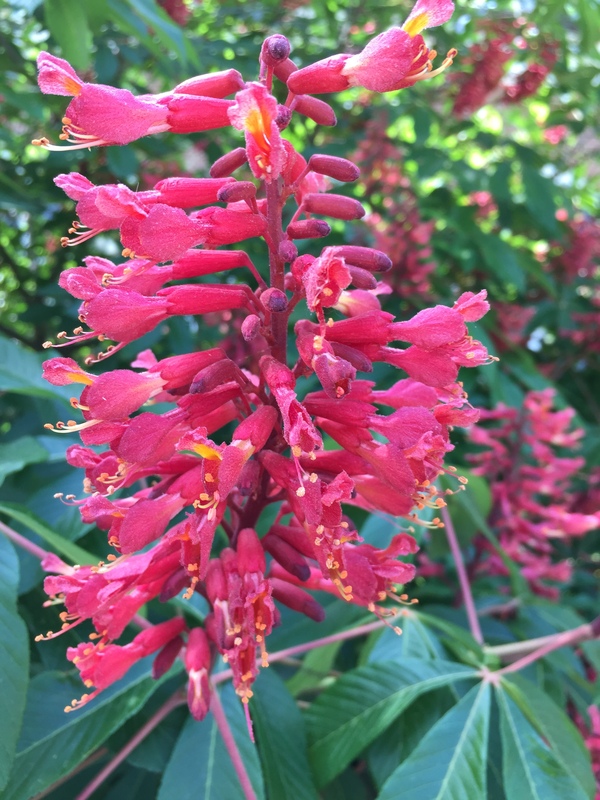 This entry was posted in MG in the Garden, Tried and True Native Plant Selections for the Mid-Atlantic and tagged Aesculus pavia, Native tree, Red Buckeye, Tried and True Native Plant Selections for the Mid-Atlantic. Bookmark the permalink.